Titan missile firing room at Titan Missile Museum near Tucson, Arizona. The silo-launched Titan II missile was part of America's nuclear deterrent. This silo became operational in 1963 and was deactivated in 1982. It is now a tourist attraction. 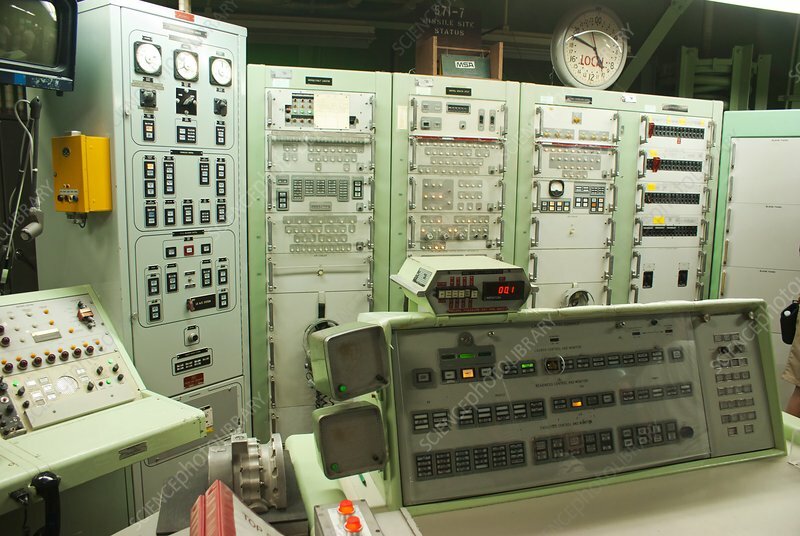 Launch control console in foreground includes missile firing key at top centre.